You may think now that you have plenty of creepy candles, skull and skeleton decorations and fake cobwebs spread across your home that you have prepared the perfect haunted house for this coming Halloween, but what were you planning to play in your house during your Halloween party? Well, it will be hard to get that creepy, bone-chilling tone set if you just play a top 40 radio station or your favorite country playlist... while we agree that those could absolutely sound terrifying, they don't really fit in with the holiday spirit. Everyone always has a CD to play for when Christmas times comes around so why not have one for Halloween too? It may prove to be difficult to find the perfect soundtrack for the spooky setup you've worked so hard to create but we can help. 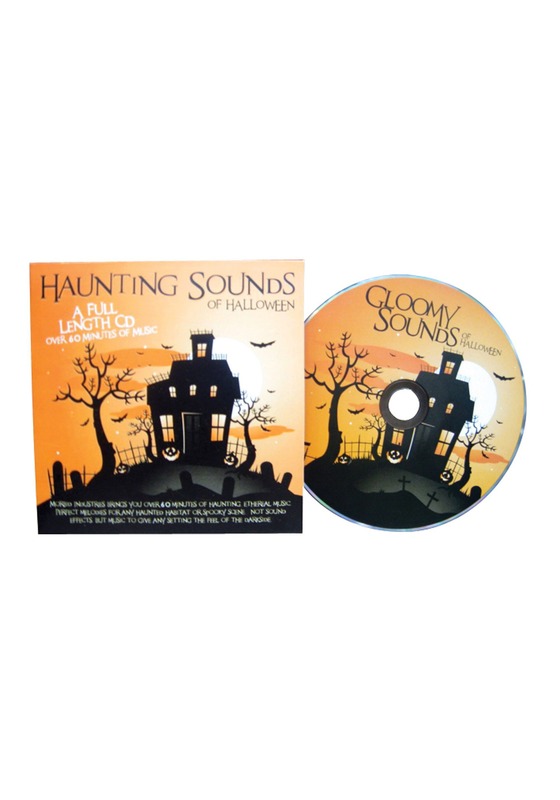 Try out this Haunting Sounds CD! Don't worry, it won't only be the sounds of black cats crying in the night or just the eerie sound of wind whistling by and creaky floor boards. No, it's actual music! And this music will be the perfect finishing touch to make your home the scariest on the block!